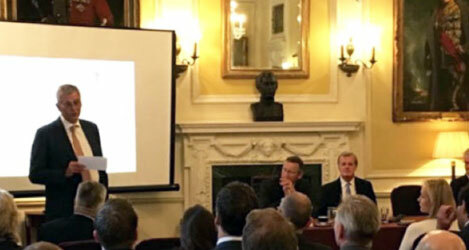 22 Sep 2016 – Global environmental and advisory consultancy SLR and strategic risk management consultancy Strategia Worldwide Ltd hosted a joint breakfast seminar today at the Cavalry and Guards Club, London to discuss “A comprehensive approach to risk in complex environments.” It was attended by 54 invited guests from the oil and gas, insurance and risk industries. Guest speaker Raphael Vermeir CBE, formerly Vice President Government Affairs International for ConocoPhillips spoke about his experiences and ‘lessons learned’ from managing the risks associated with ConocoPhillips’ operations in West Africa. This included financial, technical, security and environmental risks as well “other non core risks”. 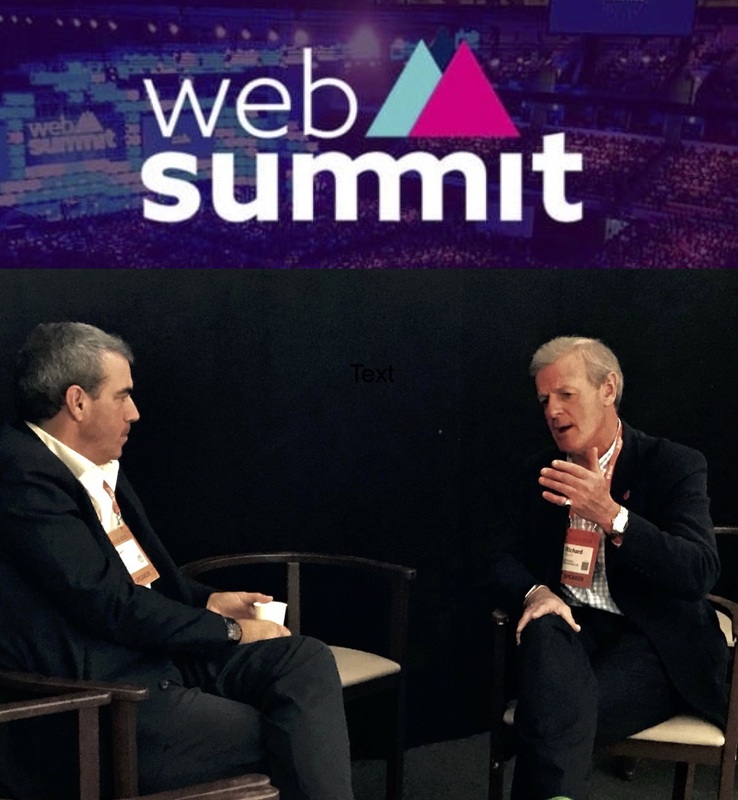 Sir Richard Shirreff from Strategia Worldwide and Nick Hooke from SLR then explained how a comprehensive approach to risk management can help companies and investors fully understand complex environments, assess risks, break down silos, identify gaps and understand the relationship between risks. They used a recent case study from Cote D’Ivoire to illustrate this approach that addressed technical, political, environmental, social, and regulatory risks, as well as security risks to produce an integrated solution. A number of guests commented on how risks were generally managed in silos within their companies and the industry generally, and that the comprehensive approach to risk management proposed was more appropriate for identifying the risks and the interdependencies between them. Raphael joined Conoco in 1979, working in marine transportation and production engineering services in Houston, Texas. He handled upstream acquisitions in Europe and Africa and managed Conoco’s exploration activities in continental Europe from Paris. He moved to London to lead the BD activities of refining and marketing in Europe and then transferred to Istanbul as managing director of Turcas. In 1999 he drove strategic initiatives in Russia and the Caspian and completed major A&D deals in the North Sea. After heading an integration team during the merger of ConocoPhillips, he took on positions in government and public affairs becoming head of external affairs Europe in late 2007. He was appointed President, Nigeria in 2011 and successfully sold the company’s interests in its Upstream companies and exited Brass LNG. He was appointed Vice President of Government Affairs International for ConocoPhillips in 2014. He is now an independent consultant and chairman of the International Petroleum Week Programme Board. He is a trustee of the St. Andrews Prize for the Environment and sat on the board of Oil Spill Response Ltd. He chaired the International Association of Oil and Gas Producers. He is a Fellow of the Energy Institute, a Chartered Engineer, Fellow of the Royal Institute of Naval Architects and was appointed CBE for services to the Energy Industry. Nick has over 33 years’ oil and gas experience, built upon technical, operational, commercial, financial and management roles in the international Oil & Gas industry. Jonathan founded Stonehaven Technology, a company with a proven record of working in varied sectors and delivering highly original enterprise application software, bringing business change and achieving significant efficiency for its clients. Jonathan leads on client engagement, designing functional specifications, project management and delivery, whilst managing the business. Jonathan has completed a full time MBA at Ashridge Hult Business School, worked in a number of countries and gained a range of diverse experiences in the British Army.